Nokia is most well know among long time users for its hard as a boulder classic cell phones, and arguably, still offers the best build quality among all existing smartphones. However, there is a downside to it. Nokia has traditionally been using polycarbonate materials to build its cell phones, which makes it almost impossible to build wafer thin smartphones. With present generation smartphones and tablets constantly moving towards thinner and lighter designs it presents a problem for Nokia. How does it compete with its rivals which boost of some of the sleekest products in the market. The answer is aluminum. The Verge has learnt from its sources that 2013 will see the Finnish mobile phone maker come out with its first ever Windows Phone 8 smartphone with an aluminum shell. This new device, codenamed EOS, will be Nokia’s new flagship smartphone, replacing the Lumia 920. Nokia EOS will also most likely be completely redesigned, marking the start of a new design cycle. The Verge, at present has learnt of only one new device which will have an aluminium body, though it is not clear if Nokia plans to complete replace polycarbonate built smartphones with metal ones. It has further been learnt that Nokia EOS will be the first Windows Phone 8 device to feature true PureView camera technology. During Nokia’s recently announced quarterly report it was announced that the Nokia 808 PureView was going to be the last ever Symbian smartphone. Naturally, a new device ought to come out sporting the outstanding camera sensor from the 808 PureView. 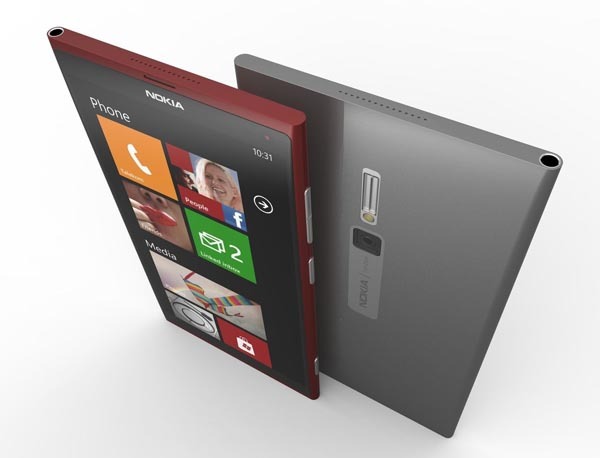 Nokia EOS Windows Phone is rumored to be that smartphone. However, we can almost say with certainty that the new smartphone will not carry the massive 41MP camera sensor. A significantly downsized version of the same is more likely. Sources have also informed The Verge that AT&T will be the first network to carry the next generation Nokia Windows Phone 8 device.